Get ready to fall in love with how gorgeous Summer Palace ( Yiheyuan ) in winter. 16 KM from central Beijing, located in Haidian District, you can take subway line 4 and get off at Beigongmen station. 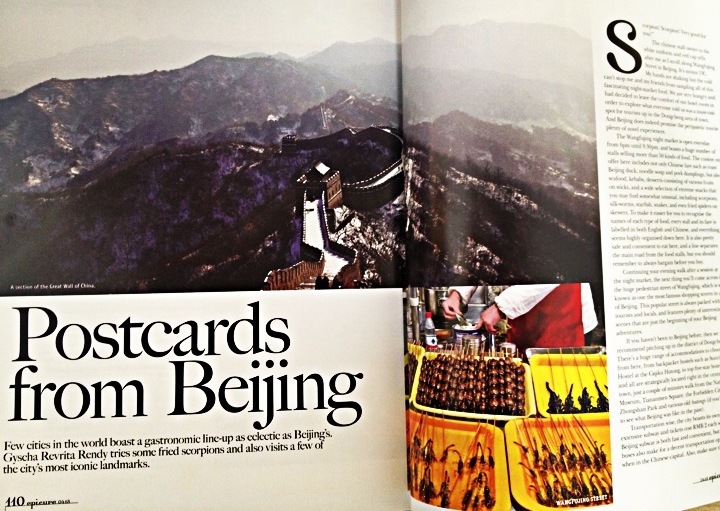 The entrance fee costs you RMB 40. 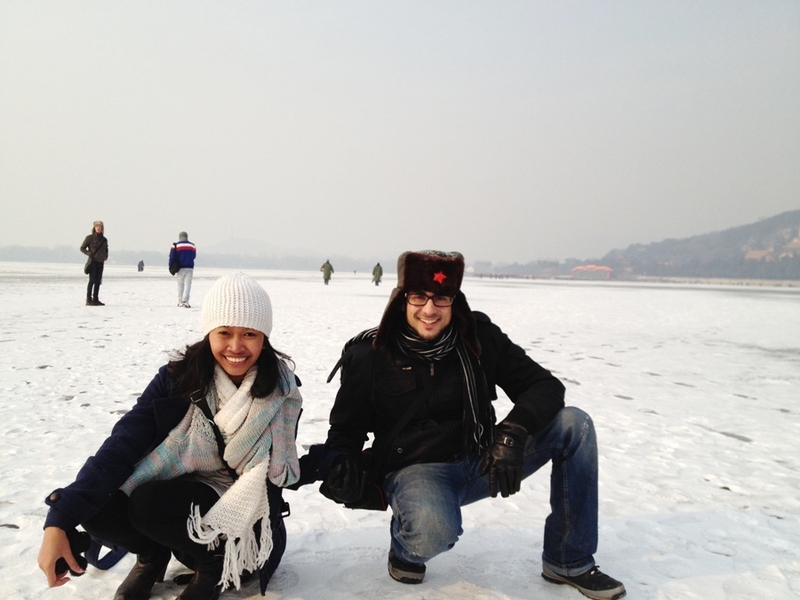 Enjoy walking and ice-skating in the frozen Kunming Lake, explore some old buildings and temple, the Seventeen-Arch bridge and Longevity Hill. 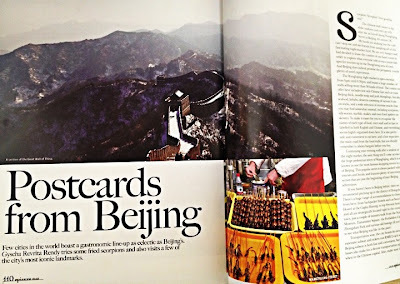 I've never seen how's Summer Palace look like in Summer, but I'd say winter is the best time to visit this place. 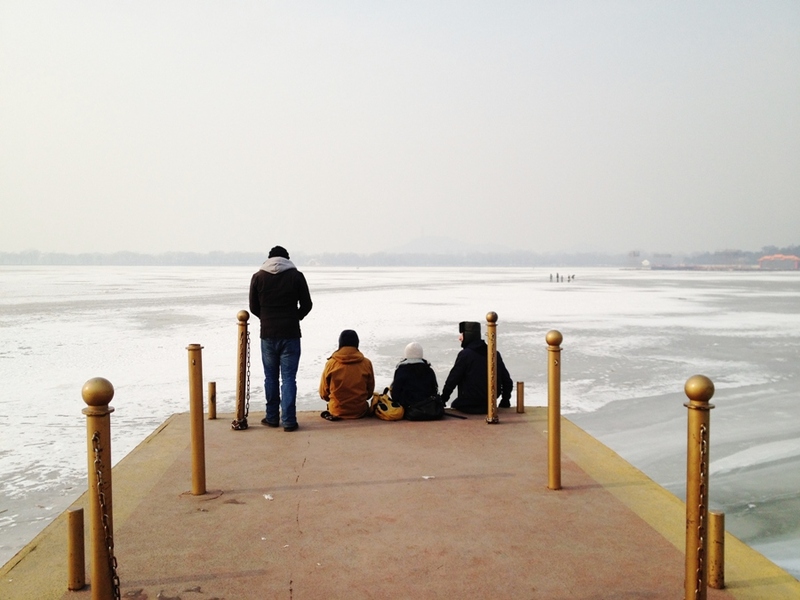 Less tourists, yes it's very cold, my high-heeled leather boots made it even harder for me to walk and run ( they said...beauty is pain ) but my favorite part...I guess just sitting and watching the boys hanging in the frozen Kunming Lake for hours. Such a simple joy. 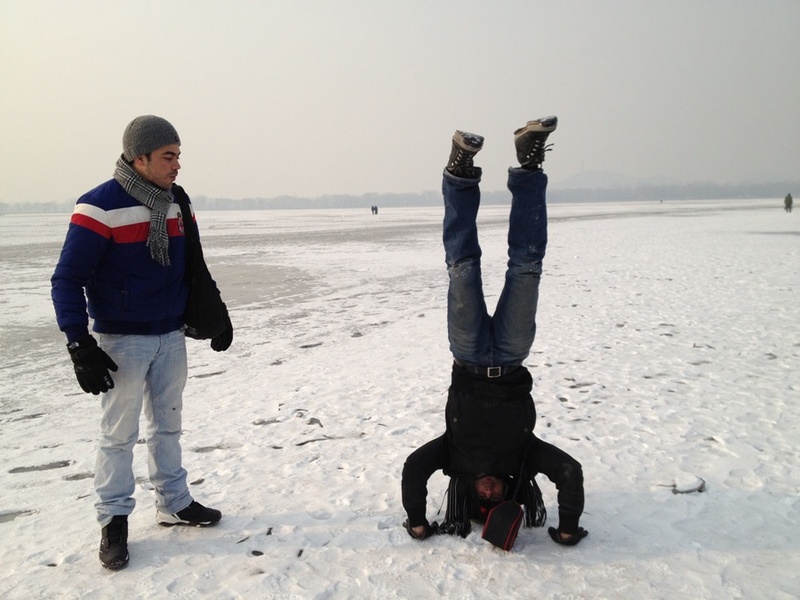 Didn't believe my own eyes when they pulled my hands to walk with them in the frozen Kunming Lake, I mean in my head was what if all the ice melts and we'll all drown !! !